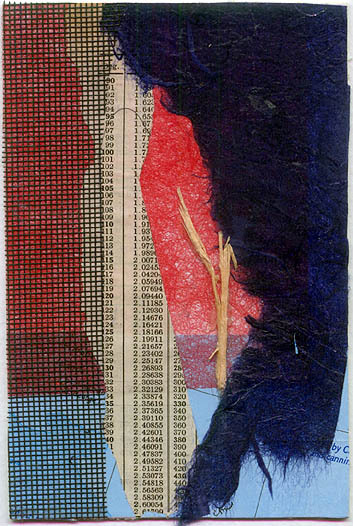 Each artist made 13 collages. The one work from each artist which is shown in this Internet exhibition is exhibited in Allentown, Pensylvania, USA, and then sent to the Museo de Collage in Mexico. One work is sent to be part of the permanent collection of ArtColle in Sergine, France. One work is exhibited and offered for sale in New Plymouth, New Zealand, and a package of 10 mixed collages is sent back to each participating artist.